As some of you may have noticed, Toluna has recently increased its moderation efforts on the site; as a result, some of you may have had polls or opinion topics deleted. We would like to explain how the moderation process works, and offer some tips to help you avoid having any of your content removed from the site. Why are polls and topics deleted? 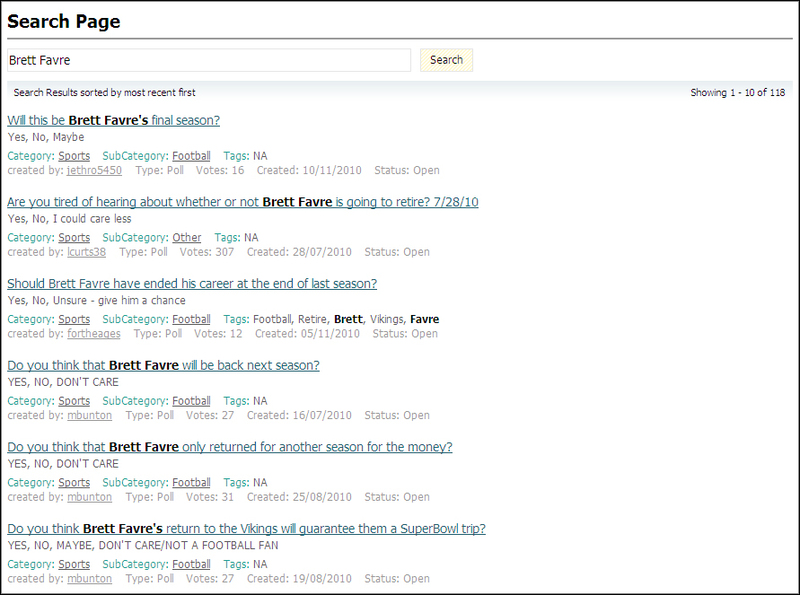 As you can see, there are many Brett Favre related polls and topics on the site already; unless you are about to offer a unique perspective on the subject, the other members of the Toluna community may be reluctant to answer the same question again, which could leave you with a very low number of votes or opinions, or may result in your content being removed by the moderators for these exact reasons. 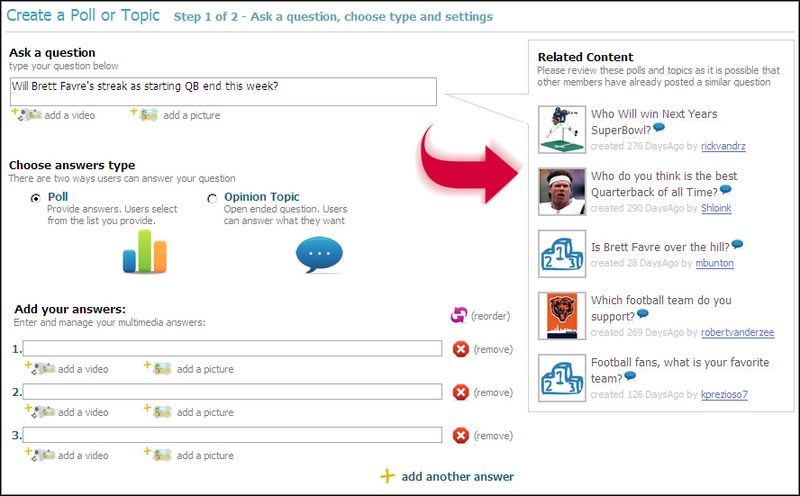 Review the list before proceeding; you may find that your poll or topic already exist and may decide to modify your question. This will help your content stand out and will ensure a higher number of votes or opinions. We hope this clarifies the issue; as always, your comments and questions are welcome.